On October 30th and 31st, Legal Talk Network attended and covered the inaugural MIT Legal Forum on AI and Blockchain at the Massachusetts Institute of Technology’s Media Lab. This two-day event in Cambridge featured big names in legal technology from MIT, IBM Watson, Baker & Hostetler, CodeX, blockchain startups, and Cryptocurrency organizations. The presentations, breakout groups, and panels were far beyond platitudes and lofty predictions. They were about the nuts and bolts of utilizing artificial intelligence and blockchain technologies in the legal profession. During our many travels around the country to legal tech conferences, we have encountered numerous opinions and ponderings about artificial intelligence and more recently blockchain. Questions like will artificial intelligence take our jobs and what is blockchain and how is it relevant to my legal practice are commonplace. Because these fields are relatively new and the legal profession is under widespread pressure to modernize, inquiries of this nature can be difficult to address satisfactorily. Led by MIT visiting scientist Daniel “Dazza” Greenwood, the MIT Legal Forum took a different approach to answering questions like the ones mentioned above. Conference attendees were treated as active participants as they played a role in what would ultimately be discussed. Although there was a schedule of events, the content and subject matter were set to change based on feedback from the attendees. In addition, there were smaller gatherings of breakout groups designed to generate ideas, discussions, and expertise exchange in smaller more intimate venues. Notably, these breakout groups continue innovating online even after the in-person part of the conference ended on October 31st. According to what what we gleaned from the MIT Legal Forum on AI and Blockchain, the answer to that question is not exactly but probably yes. Perhaps that reply is not comforting but the truth is developers are actively seeking to automate the repetitive tasks germain to the practice of law and there is downward client-imposed pressure on the billable hour. Perhaps even more unnerving to some is that capabilities of AI are growing and the list of tasks it can automate is expanding. The competitive practitioner will need to find ways to implement the automated tools of artificial intelligence in a way that scales their practice rather than fight the “prevailing winds” of change. What is Blockchain and How is it Relevant to My Legal Practice? Without getting into the technical aspects of what makes it run, blockchain is basically a network of decentralized computers that act together as a ledger to authenticate and verify records. For some, the next logical question is so what, why is that a big deal? Well, the simplified answer is in the way blockchain operates. Because it is decentralized, it is extremely difficult to corrupt as compared to more traditional and centralized systems for authentication. This feature allows blockchain enabled applications like “Bitcoin” to operate without central oversight across national borders. Basically, if something requires authenticated records, blockchain could potentially facilitate its use or operation. So in terms of legal practice, if evaluating property, verifying documents, proof of ownership, transferring of assets, Initial Coin Offerings, etc. are relevant to your clients’ interests, then blockchain is pertinent to your practice of law. For more information on artificial intelligence and blockchain and how they impact the practice of law, please tune into our collection of 10 audio interviews recorded from MIT’s Legal Forum and also please reference the list of participating experts below. Host Jonathan Askin interviews MIT professor Alex Pentland about the inaugural MIT Legal Forum on AI and Blockchain as well as access to justice, the role of lawyers with artificial intelligence, and smart contracts. Host Daniel Linna is joined by BakerHostetler’s Bob Craig to talk about blockchain, Bitcoin, and how lawyers don’t need to be programmers but should have a basic understanding of how certain technologies work. Host Jonathan Askin sits down with CEO of Monax Casey Kuhlman for a conversation about the creation of smart contracts, the high value of experienced practitioners, and why it’s important for young attorneys to learn how to scale their work. 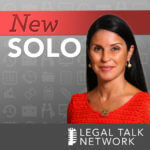 Host Jonathan Askin is joined by IBM Watson Legal’s Shawnna Hoffman and Brian Kuhn for a discussion about artificial intelligence and whether or not it will replace human lawyers. Host Jonathan Askin interviews CEO of Legal.io Tony Lai and Brooklyn Law School’s Mark Potkewitz about legal hackathons, access to justice, and today’s push for open data. Host Amy ter Haar is joined by Evernym’s Drummond Reed to talk about self-sovereign identity and how the decentralized use of blockchain will offer more authentic identification that’s less corruptible. Host Laurence Colletti hands the microphone to Suffolk Law Dean Andrew Perlman and Suffolk Law’s David Colarusso for a discussion about Suffolk University School of Law’s new certification program and their upcoming clinical conference in April focusing on innovation. Host David Fisher interviews Matheson’s Rebecca Ryan and Barry O’Connor about their first hackathon, uses for blockchain, and fears associated with that new technology. Tune in to hear how global businesses and governments are implementing blockchain into their operations. Hosts Trent Carlyle and Laurence Colletti sit down with CEO of Learning Machine Chris Jagers to discuss the practical uses for blockchain as well as its application in the legal industry and beyond. Tune in to hear how this new technology might be affecting your practice area including low-tech fields. Host Trent Carlyle is joined by MIT’s Christian Smith for a conversation about blockchain and its strengths and its weaknesses. Tune in to hear what you need to watch out for with this new technology.